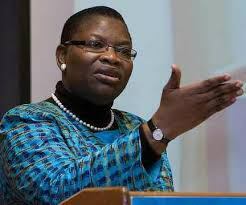 Following the incessant killings in Plateau State, the former Minster of Education and convener of the Bring Back Or Girls Group, Oby Ezekwesili has reacted. 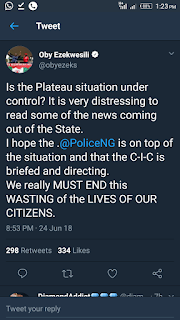 Speaking on the Killings she said that security agents should be at alert and proffer solutions to safeguard lives and properties in the state. 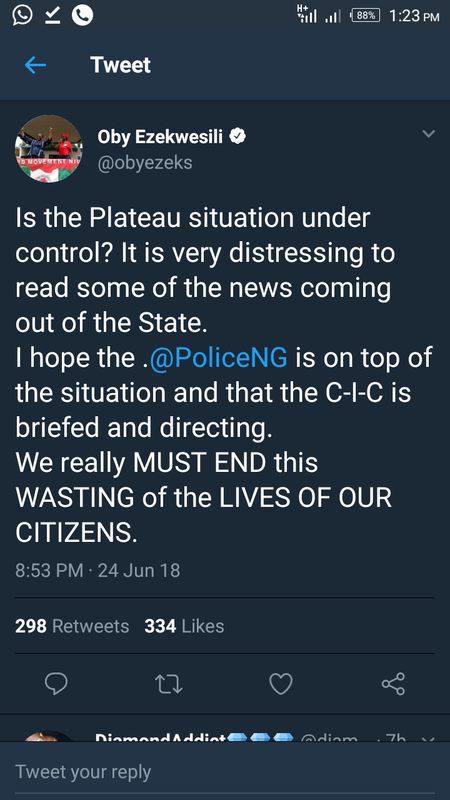 According to the post on her twitter account, "I hope that the Nigerian police is on top of the situation and the commander in chief is briefed and directing".